This Belleek box is a retired design that is limited to stock on hand. 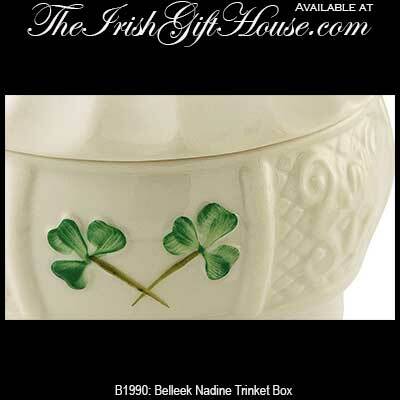 This Belleek box features the embossed Nadine design along with hand painted shamrocks. 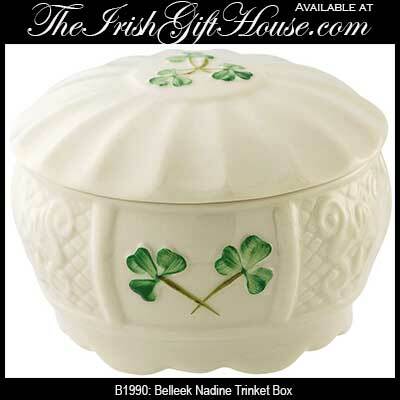 The Belleek Nadine box is made of fine china and measures 3" wide x 2 1/4" tall. The Belleek China box is suitable for trinkets and jewelry.